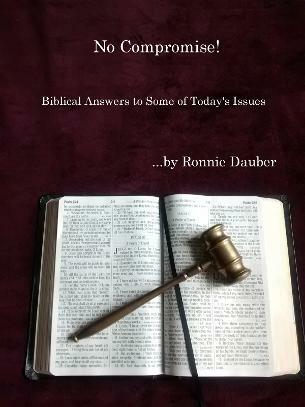 This book contains the biblical answers to so many of the questions that New Christians ask about some of the controversial issues that plague the Christian community today. Ms. Dauber uses scripture to show what God has to say and encourages readers to study the Bible themselves so they can know all the answers to all of their questions. Does God Change to Fit in With Modern Times? Some doctrines teach that when Jesus came He liberated the Old Testament laws to allow Christians to live more freely. They insist that because of His grace, we no longer have to hold fast to God’s laws. While grace does allow us to repent for wrong doing once we’re saved, it does not give us permission to deliberately disobey God’s laws or to change them in any way. The law was given to us as a benchmark whereby we could identify sin and repent for it so that we could come before God. Apostle Paul said that without the law there is no sin—(Romans 5:13). Since it’s the sinful nature and lawlessness that separated us from God, He gave us the law so we could put sin into its proper perspective and identify it as wrong. While all of God’s laws are under attack, there are some that have been legally changed by earthly governing authorities just to suit the lusts of the sinful flesh. These changes are not made by God because we know that He is the same yesterday, today and forever (Hebrews 13:8), and regardless of what earthly governments rule, anyone who follows these instead of God’s laws will be accountable to Him.